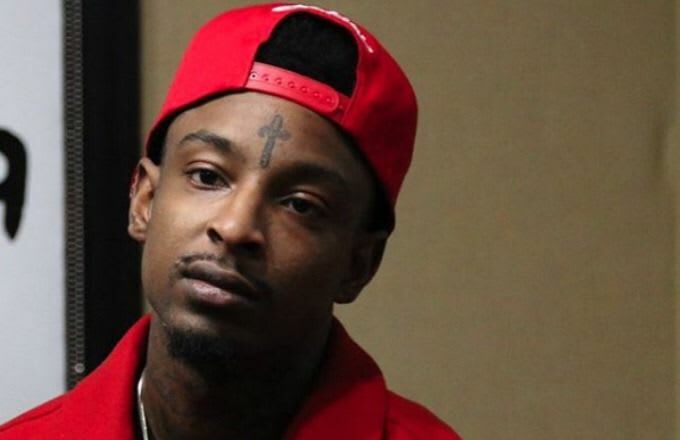 21 Savage&apos;s show at the Opera Nightclub in Atlanta on Monday night was cut short after he leapt into the crowd mid-set to fight someone. "He was on the last song of his set when guys in the crowd were throwing up their set and disrespecting his," an inside source who was on stage at the event told Complex exclusively. "He told them to calm down but then they started trying to rush the stage." Savage is then seen tucking his chain in and jumping off the stage, with his crew following close behind him. "They found in the middle of the crowd and then the fight started spreading to bystanders and it became a brawl," the source said. As KTT users point out, the entire incident was captured live on Periscope, which you can watch below. The fight starts around the 10:30 mark. You can also check out some other clips of the incident shot by audience members. The altercation broke up soon after 21 Savage returned to the stage, but the damage seemed to be done. People quickly left the venue, and just a few minutes later, heavily armed police officers were seen entering the building. "APD SWAT was called in with AR-15s and was told to evacuate the building and shut down all the surrounding streets," the insider said. Although initial reports indicated that shots were fired, they proved to be incorrect. In addition to the fight, however, police did report that bottles were thrown into the crowd. The insider told Complex that he also saw chairs and barricades being thrown. So far neither 21 Savage nor Opera Nightclub has released a statement regarding the incident. Lil Yachty, 21 Savage, and Sauce Walka Team Up on New Song "Drippin"